Is Sun Life Financial Inc. (NYSE:SLF) a bargain? The best stock pickers are selling. The number of long hedge fund bets went down by 3 in recent months. 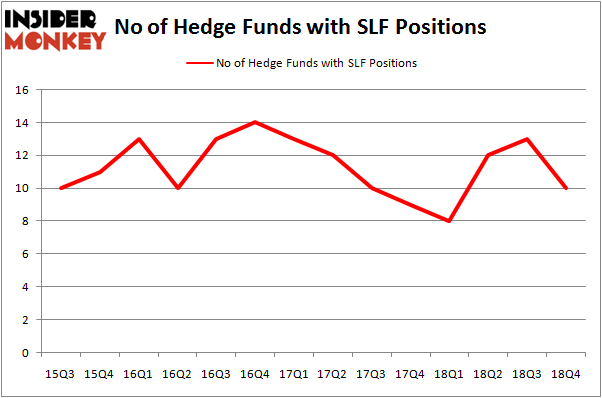 Our calculations also showed that SLF isn’t among the 30 most popular stocks among hedge funds. In today’s marketplace there are tons of metrics stock traders put to use to assess their stock investments. A duo of the less known metrics are hedge fund and insider trading moves. Our researchers have shown that, historically, those who follow the best picks of the elite hedge fund managers can outpace the market by a solid amount (see the details here). Let’s take a gander at the new hedge fund action encompassing Sun Life Financial Inc. (NYSE:SLF). How have hedgies been trading Sun Life Financial Inc. (NYSE:SLF)? 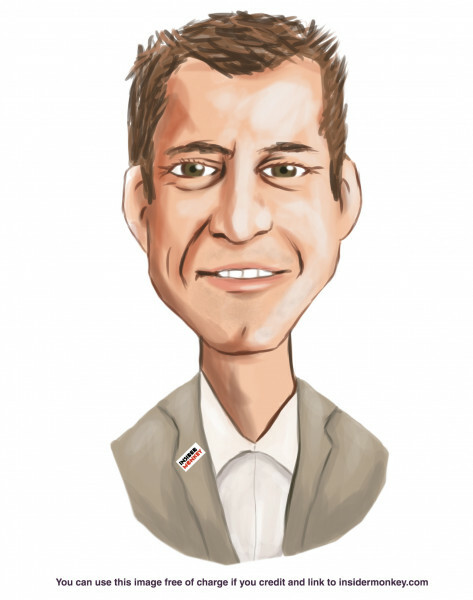 Heading into the first quarter of 2019, a total of 10 of the hedge funds tracked by Insider Monkey were bullish on this stock, a change of -23% from one quarter earlier. On the other hand, there were a total of 8 hedge funds with a bullish position in SLF a year ago. With hedgies’ sentiment swirling, there exists an “upper tier” of key hedge fund managers who were upping their stakes substantially (or already accumulated large positions). More specifically, AQR Capital Management was the largest shareholder of Sun Life Financial Inc. (NYSE:SLF), with a stake worth $27.8 million reported as of the end of September. Trailing AQR Capital Management was Renaissance Technologies, which amassed a stake valued at $16.3 million. Two Sigma Advisors, Bridgewater Associates, and D E Shaw were also very fond of the stock, giving the stock large weights in their portfolios. Because Sun Life Financial Inc. (NYSE:SLF) has faced bearish sentiment from the aggregate hedge fund industry, logic holds that there lies a certain “tier” of fund managers that slashed their full holdings in the third quarter. At the top of the heap, Peter Rathjens, Bruce Clarke and John Campbell’s Arrowstreet Capital dumped the largest investment of the 700 funds watched by Insider Monkey, valued at an estimated $63.3 million in stock. Dmitry Balyasny’s fund, Balyasny Asset Management, also said goodbye to its stock, about $5.4 million worth. These bearish behaviors are important to note, as total hedge fund interest fell by 3 funds in the third quarter. Let’s now review hedge fund activity in other stocks similar to Sun Life Financial Inc. (NYSE:SLF). We will take a look at PACCAR Inc (NASDAQ:PCAR), Imperial Oil Limited (NYSE:IMO), Fresenius Medical Care AG & Co. KGaA (NYSE:FMS), and TELUS Corporation (NYSE:TU). This group of stocks’ market valuations resemble SLF’s market valuation. As you can see these stocks had an average of 14.25 hedge funds with bullish positions and the average amount invested in these stocks was $160 million. That figure was $84 million in SLF’s case. PACCAR Inc (NASDAQ:PCAR) is the most popular stock in this table. On the other hand Fresenius Medical Care AG & Co. KGaA (NYSE:FMS) is the least popular one with only 8 bullish hedge fund positions. Sun Life Financial Inc. (NYSE:SLF) is not the least popular stock in this group but hedge fund interest is still below average. This is a slightly negative signal and we’d rather spend our time researching stocks that hedge funds are piling on. Our calculations showed that top 15 most popular stocks among hedge funds returned 19.7% through March 15th and outperformed the S&P 500 ETF (SPY) by 6.6 percentage points. A few hedge funds were also right about betting on SLF, though not to the same extent, as the stock returned 16.6% and outperformed the market as well.